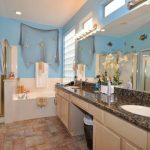 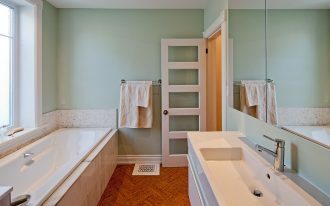 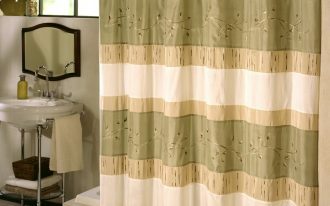 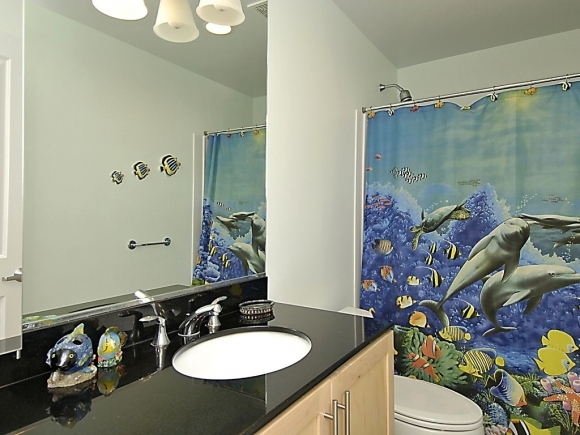 Sea themed bathrooms are always enjoyable and pretty because it usually puts colors that reflected a sea or a beach. 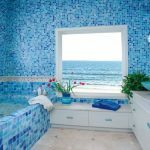 Just adding a dark blue color, turquoise tiles, a boat bathtub, or a natural accessories such as starfishes, corals, and sea urchins will reminds you of sea, beaches, sunlight, or holidays at the seaside. 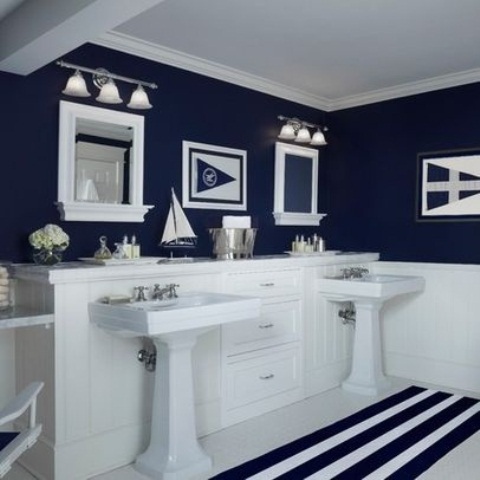 Even, nautical decoration with oars and boats are also great. 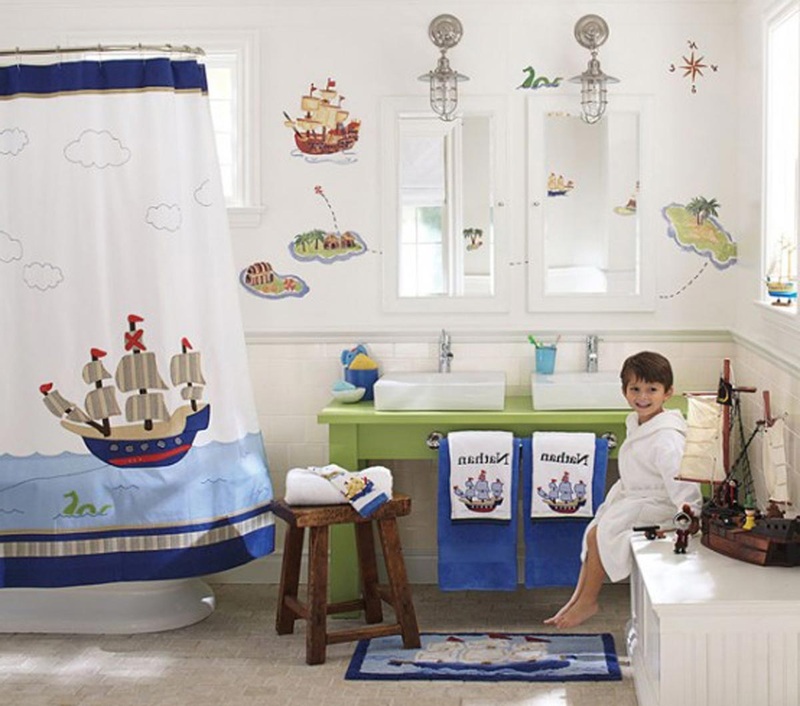 Here are some ideas of beautiful and elegant sea themed bathrooms for you and your kids. 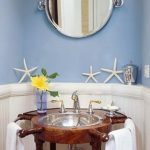 You can simply paint the wall with blue color and seashell or starfish. 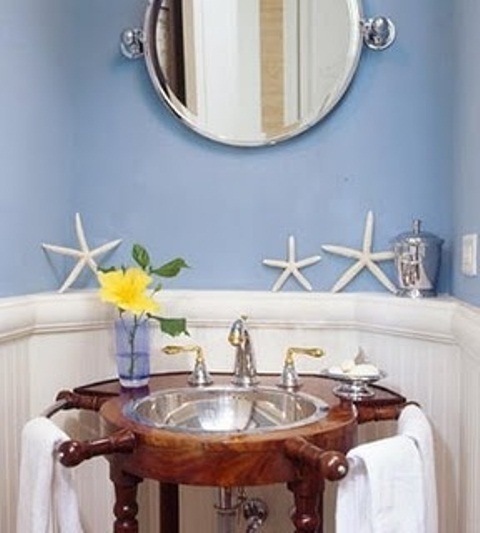 Then, put some real décor of corals near washtub and mirror. 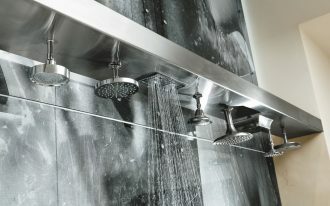 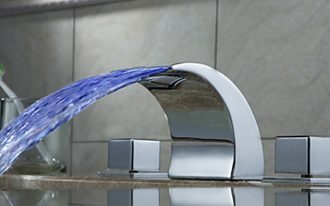 For the door of the shower place, you can make a sea-wave-like. 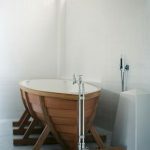 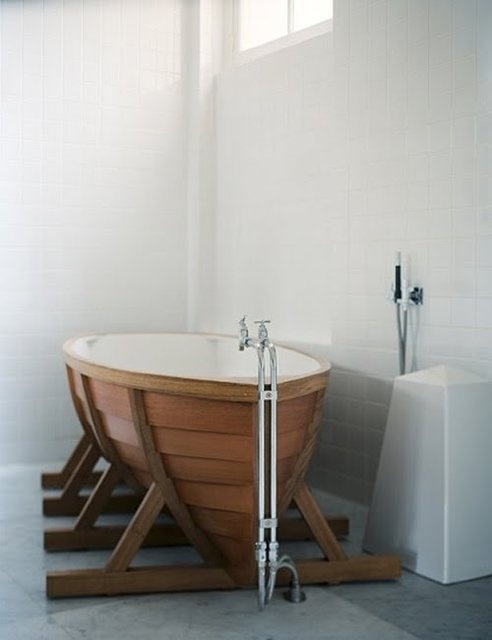 If you use a bathtub, you can choose a boat-bathtub. It looks simple, but if you combined it with other sea themed furniture, certainly the bathroom will transform into beautiful and elegant bathroom. 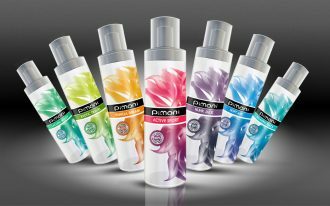 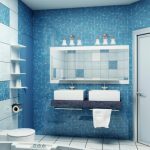 Do not forget to consider the color. 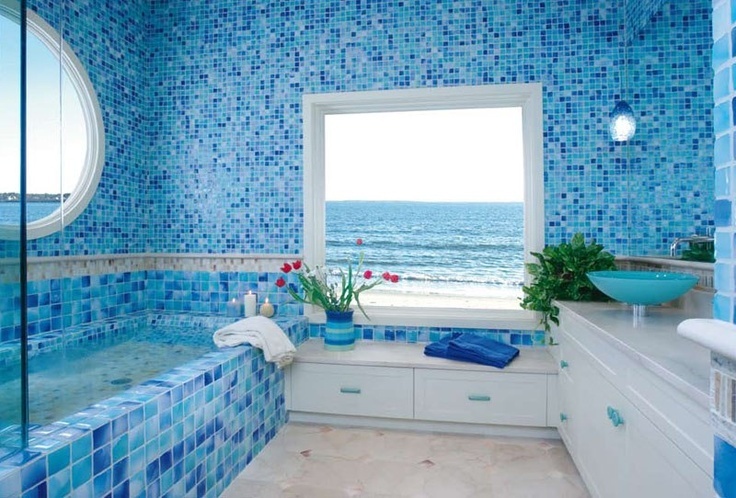 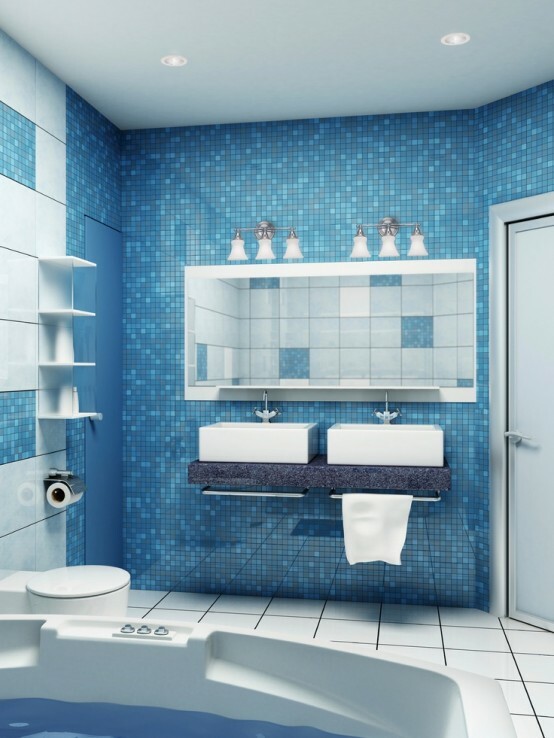 Usually, to make the sea themed bathroom looks elegant, the white color or blue color should be the perfect one. 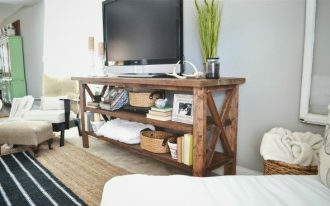 However, the color of sand is also a good option since it reflects a beach. 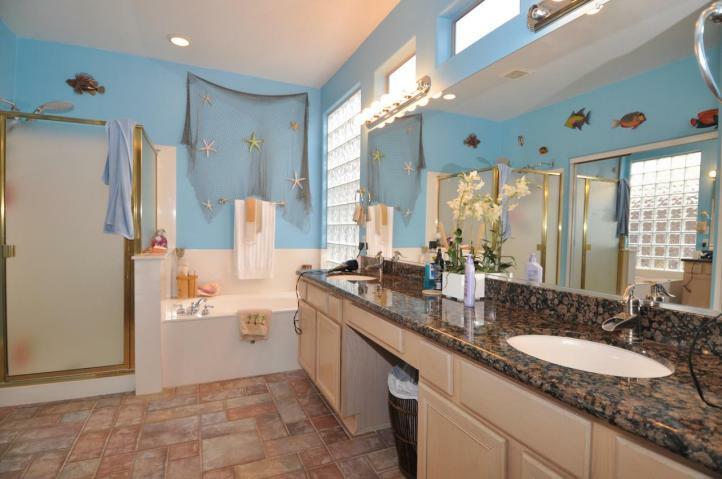 Besides, the beige color of the sand will fit with seashells or corals. 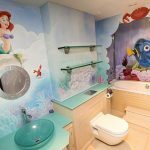 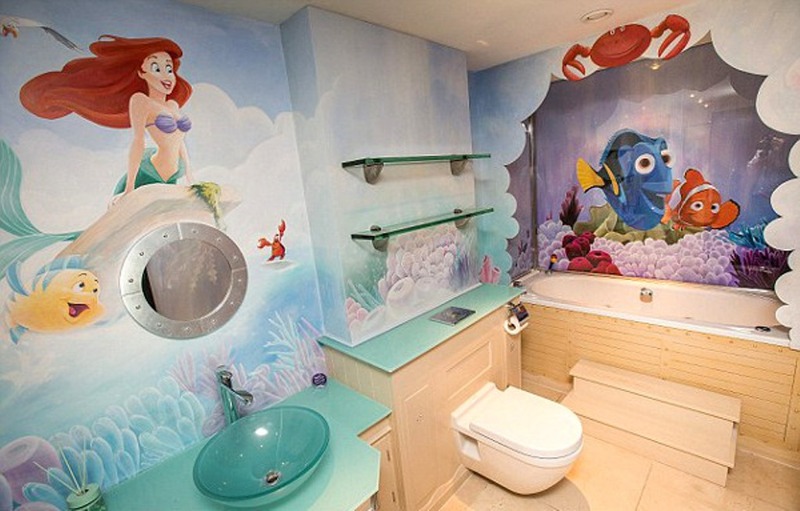 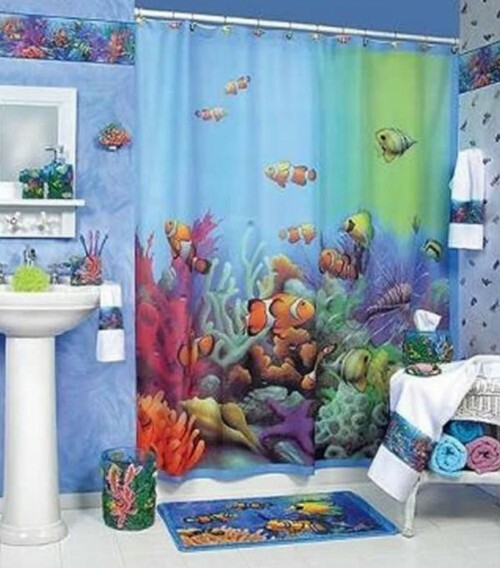 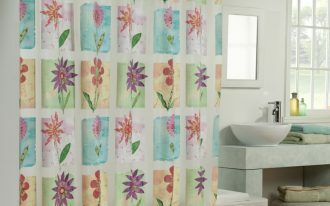 Whereas, for your kids’ bathroom, you can paint the room with a Disney character as Ariel or sea-animals cartoon that will remind them of the sea. 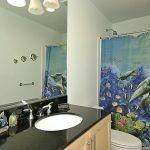 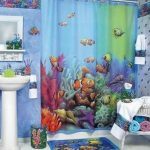 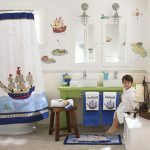 There are some other ideas about the sea themed bathroom for you and your kids, and you can check it in below pictures.